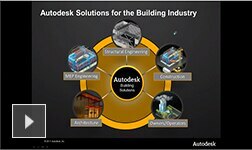 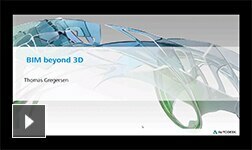 Enhance your knowledge of Autodesk products and find new ways to work more efficiently in our on-demand webinars. 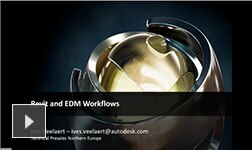 You’ll find everything from five-minute introductory sessions to hour-long tutorials that explore advanced workflows. 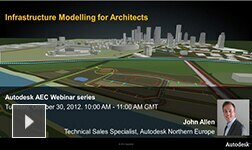 Choose from the on-demand webinars below – the latest ones are marked new. 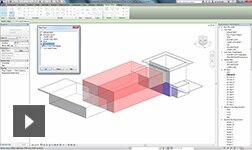 Explore a simple workflow with Leica iCON 50 and Autodesk BIM360 to complete construction layout and instant verification direct from the model. 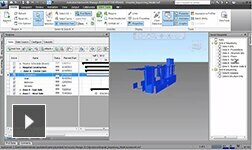 We'll show you how this managed, digital workflow from office to site and back again could deliver many benefits for your construction firm. 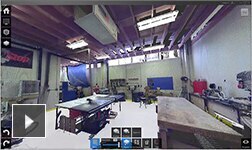 What could laser scanning do for the building construction industry? 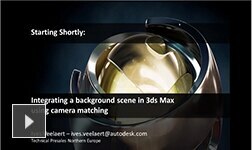 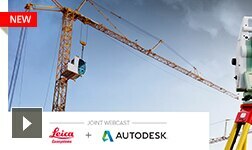 Learn how powerful 3D data sets from the Leica P16 can be used to create as-built 3D models within Autodesk software. 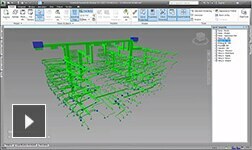 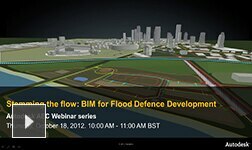 Discover how you can validate 3D model data and improve your accuracy and efficiency onsite. 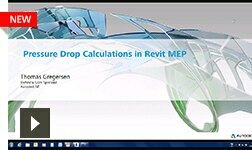 In this webinar we will take a deep dive into pipe sizing in Revit MEP, investigating the various methods available for calculating pressure drops and comparing their results. 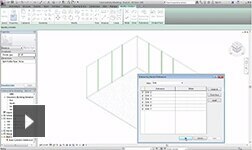 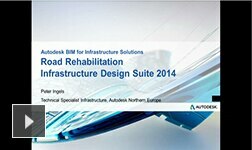 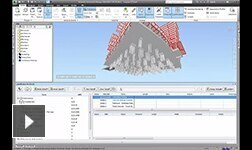 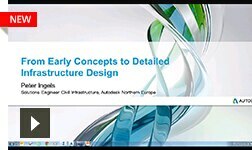 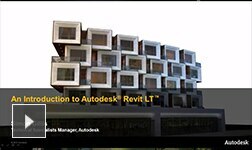 In this session we will explore setting up a vault environment where the emphasis lies on integration with Revit. 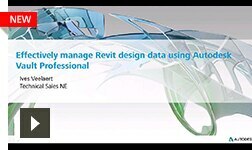 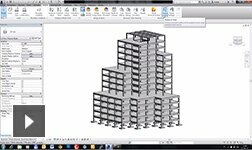 We will look at the different workflows within Revit (standalone, worksharing and Revit server) and how the design data is being stored within Autodesk Vault Professional. 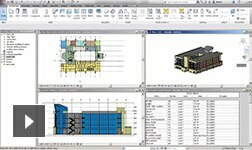 Effective communication with all involved parties in delivering a construction project can be challenging. In this session we’ll be showing how the Autodesk Data Management solutions can help in applying a BS1192 workflow to streamline this communication. 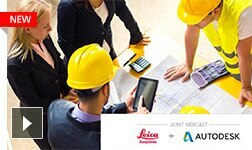 This webinar will show how multiple trades in building and infrastructure can manage their clashes, and which is the right product for the right job. 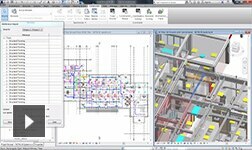 This will also show workflows for approval and reporting methods to various stakeholders and companies on a single project. 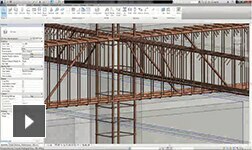 For many years construction has been done in the same way, with the same results, and those results aren’t always at the high standards of other industries like manufacturing. 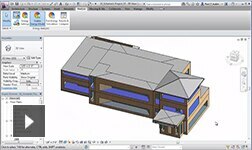 The BIM 360 platform helps address many of the fundamental problems with working with many different trades whilst balancing with tighter margins and a need for increased quality and speed. 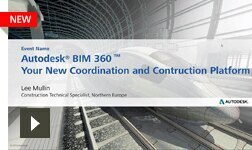 BIM 360 allows you to add value to a project beyond speed and quality, this webinar will show the differentiators you can give yourself. 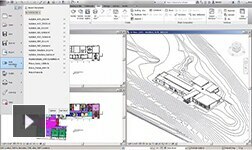 Early Concept Visualisation is an important aspect of any architects working on landscape and/or master planning projects. 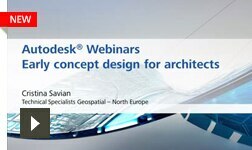 This webinar will go through a traditional masterplanning project workflow from creating land parcels using Autodesk Civil3D through to geolocating a Revit project in the real world and aggregate data into Autodesk Infraworks. 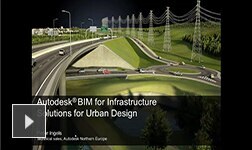 Autodesk® InfraWorks 360 allows users to communicate to a broader audience, including public and project stakeholders, in new ways with anytime and anywhere access. 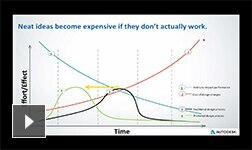 Professionals can also improve collaboration by sharing models centrally and more securely in the cloud. 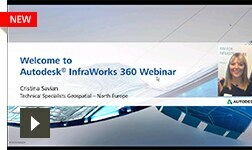 This webinar will go through all autodesk Infraworks 360 functionalities which allow engineers and architects to streamline decision making and accelerate design processes. 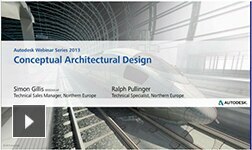 The railway Industry is not only about rail track design, but about a lot more like buildings, parking, drainage and more. 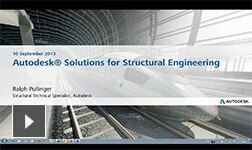 In this high level webinar you will discover the variety of tasks and disciplines within the railway industry and how the Autodesk portfolio helps delivering better quality and increased efficiency for these different tasks and disciplines. If you already have a good understanding of the railway industry, you will learn how the fast evolving technology can help improving existing processes. 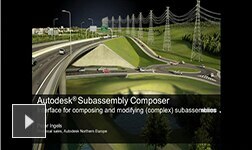 Infraworks 360 with the roadway Design and Bridge Design modules brings a new way of thinking about and communicating multiple conceptual infrastructure Design options. 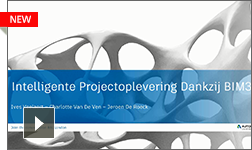 In this webinar we will go through the process of creating a conceptual Infrastructure Design, then transfer the relevant data into the detailed infrastructure design solution and bring the detailed design back in Infraworks for visualisation purposes.